Fully electric motorsport series Formula E raced in the streets of Rome this weekend. 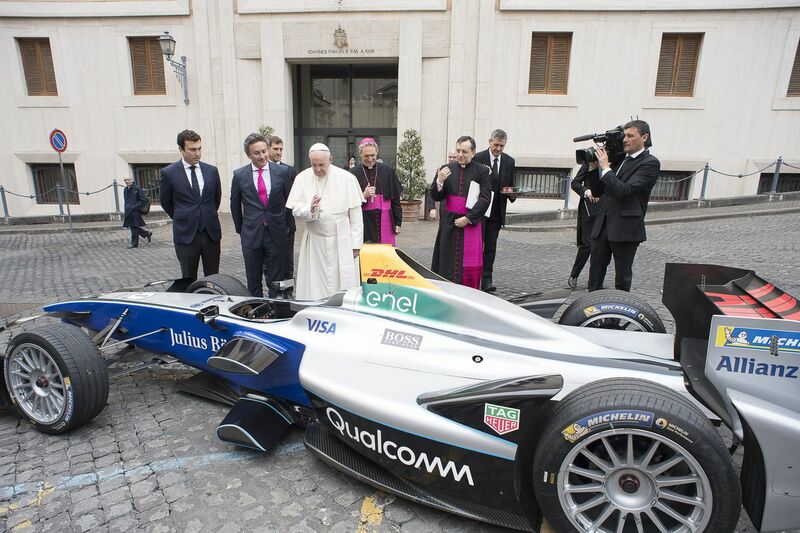 But that’s now the second most unbelievable thing about the event: earlier this week, the Pope blessed one of the racecars. Formula E got its start in 2014 and is now cruising through the fourth full season of racing. Some longtime racing fans don’t like how quiet the cars are or argue that they’re slow. The series has long said this doesn’t matter; its goal is to attract fans who are new to racing, which is its own kind of problem.